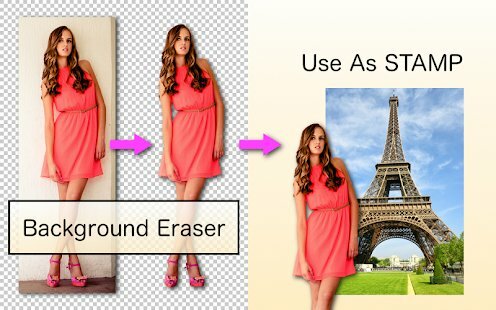 Are you looking for removing background image online tool? Then You come to Right Place. I gonna share a list of Best websites and Android apps to remove the background of an image. Yesterday I want to remove the background of an Image but I did not find blog post or list of websites or apps for removing the background. I find some apps but that apps are paid. I was looking For free. So I created this blog post to Help You. Background Eraser is a Free app which makes money by ads. App has both two mods automatic or Manual. With 4.5 Rating by more than 300000 users is proof that this app has 0 bugs. Background Remover Pro: Background Eraser changer: If you don’t like Background eraser for any reason then you can use this app. There are inbuilt backgrounds available which can be used for making Stunning photos. This is a free app which makes money from ads. Another awesome app that will complete your work very well. This is a complete kit for Erasing background. You can use Manual or Auto Mode. Apart from this cropping is also one of the Best options. Did you every use adobe photoshop and magic. You will also get that magic tool in this app. Not only Removing But you can also Change background. If you search on the play store background Remove. This App gets 4th Position due to its premium features. You open this app it will ask you to Either Select Picture or Open camera. After selecting Then you can Need to select an image in a square Then you can Remove Remain part from that square. Don’t get confused Because above app has the same Name. But these two are completely different apps. If you want to look for stylish backgrounds then try this. All above apps also remove background but they lack in background templates. 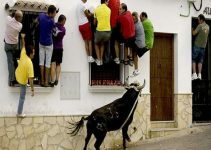 If you are in that kind of situation then use this. There is one touch auto eraser and manual Eraser available. But this is tricky App. I mean you can put specific part like face then Apply to body Template as shown in the screenshot. Like other, it is free and makes money from ads but In-app purchase also helps it to Make money. 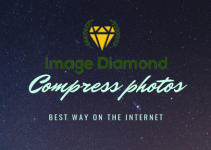 This is a complete photo editor. Apart from removing the background, You can use filters, stickers, Blur, ScrabBook to Make Collage. When Media coding Released this app. It was just background eraser only. People really like this So they enhance app functionality. 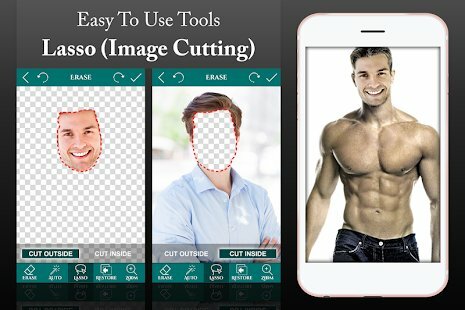 You do not Need any photo Editor and this is an absolutely free app which makes money by Running ads. The app is rated 4 Star by more than 17000 thousand users. This is a free website using that you can remove the background. I searched a lot but all those websites are paid. And it is free but to download the image you have to create an Account. First It will try to remove backgrounds automatic but after that, You can manually Remove background. Another amazing free website to cut background. You can Remove background manually. You don’t even need to create an account. THis is very easy to use. All tools like redo undo, Magic wanZoominging makes one of best website. If are not smartphone user then why not using paint to Remove Background. I hope You will Like this article if you have any problem or you are not satisfied with website section then let me know by comments. I will add more content.